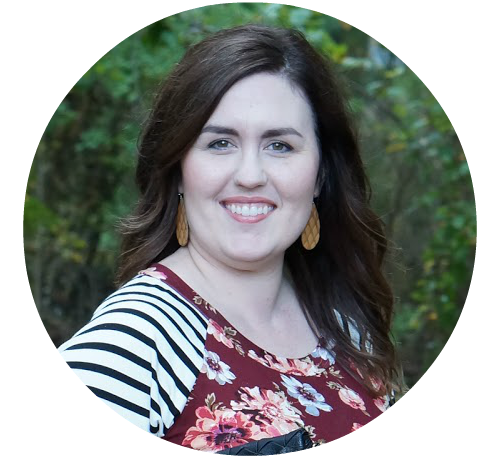 I have included my Grove Collaborative Influencer referral link in this post. I only ever feature products that we use and love. Thank you so much for using my referral link! The special offers are at the end of this post. Another month has started, so it’s time to share my October Grove Collaborative haul! 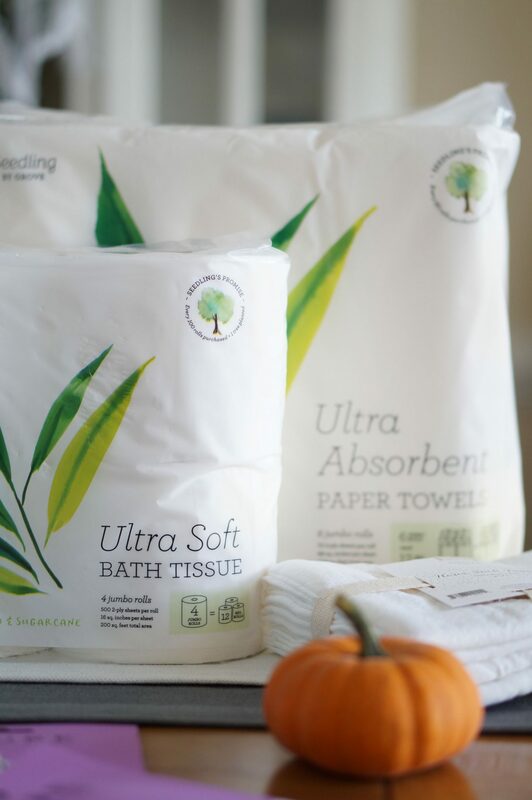 In case you’ve never heard of Grove Collaborative, it is a company that sells natural, organic, and cruelty free household items. They also sell beauty products and personal care products. You can set up your box to be sent automatically every month, or you can order on an as-needed basis. 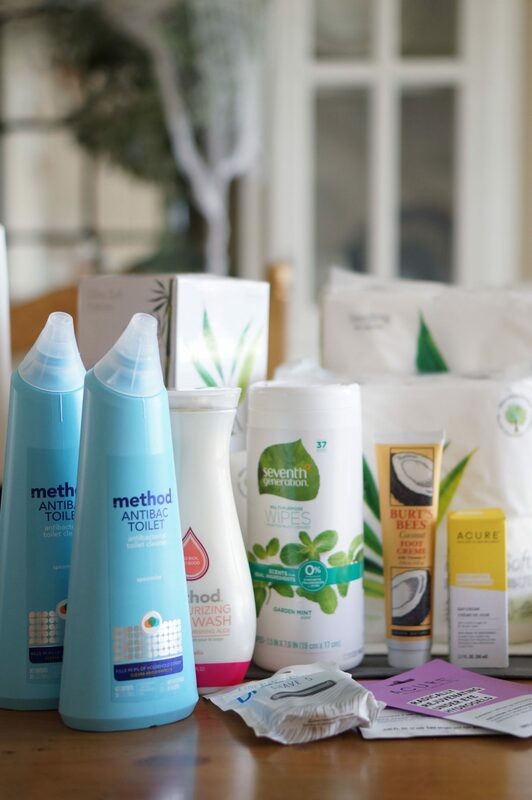 Since I use up our cleaning products often, we get a box at the beginning of every month. 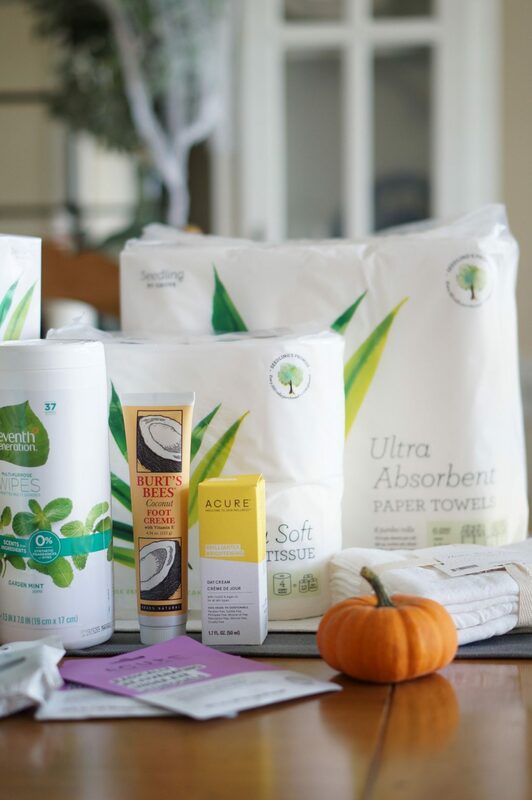 I’m very excited to share what I ordered this month, because Grove Collaborative always has a new member offer. This month it’s really great! 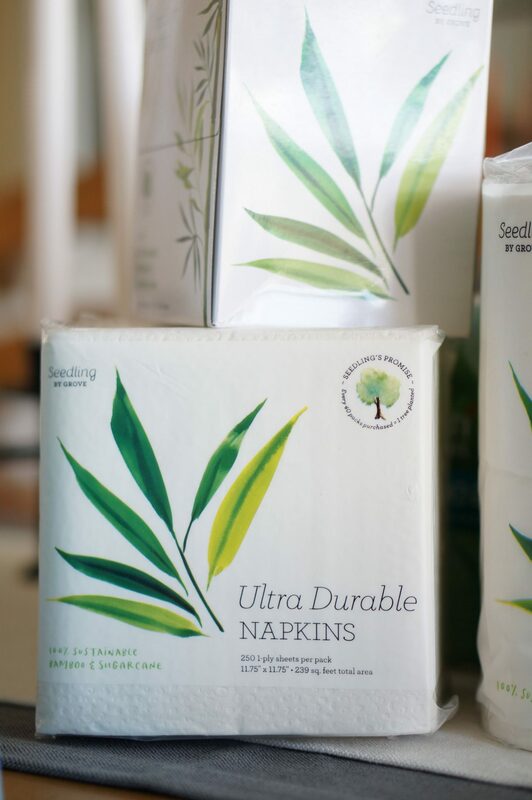 They recently released their own line of tree-free paper products. Last month, we tried the toilet paper. 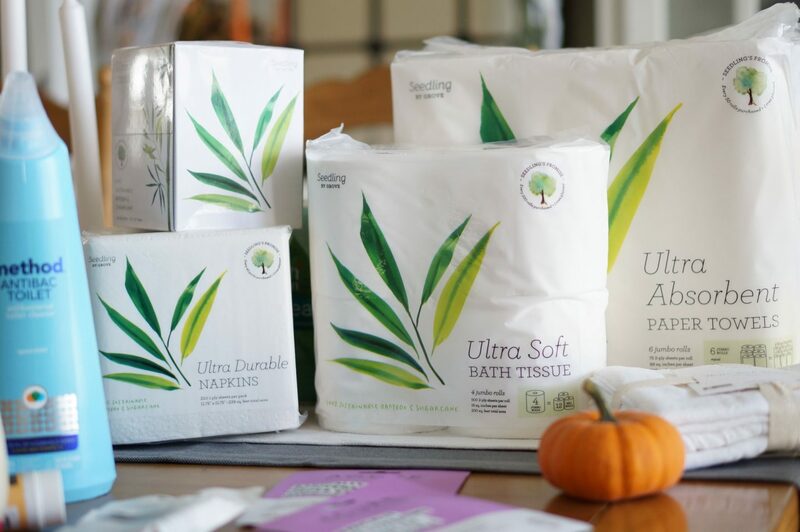 Since we liked it so much, I reordered it this month and we’re trying the paper towels, napkins, and facial tissue. The only cleaning product I needed this month were the Method Antibac toilet cleaner. 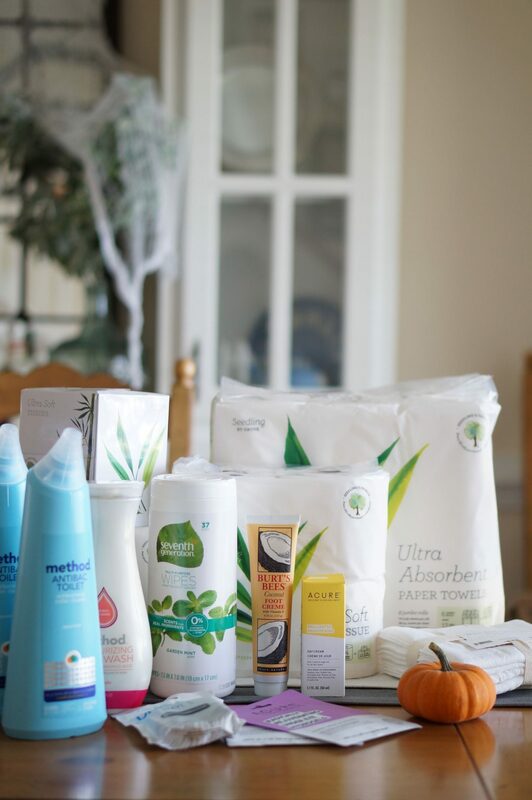 I ordered a fair share of personal care products. 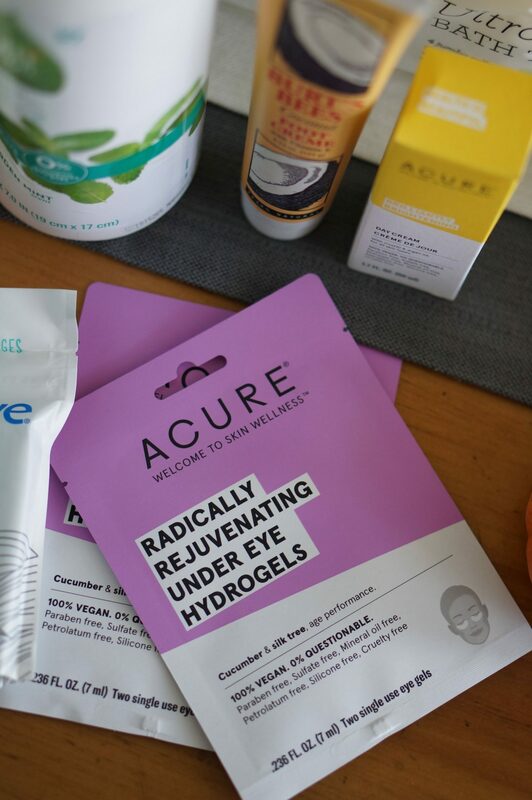 Among them are the Seventh Generation pads, Method Body Wash in Magnolia, Acure eye gel patches, Preserve 5 replacement blades, Burt’s Bees Coconut Foot Creme, and Acure Brightening Daily Face Cream. Grove Collaborative threw in a set of their flour sack towels for free, too! I love this. They’re perfect for drying dishes. Existing members can get a free set of Grove Collaborative Walnut Scrubbers through this link. 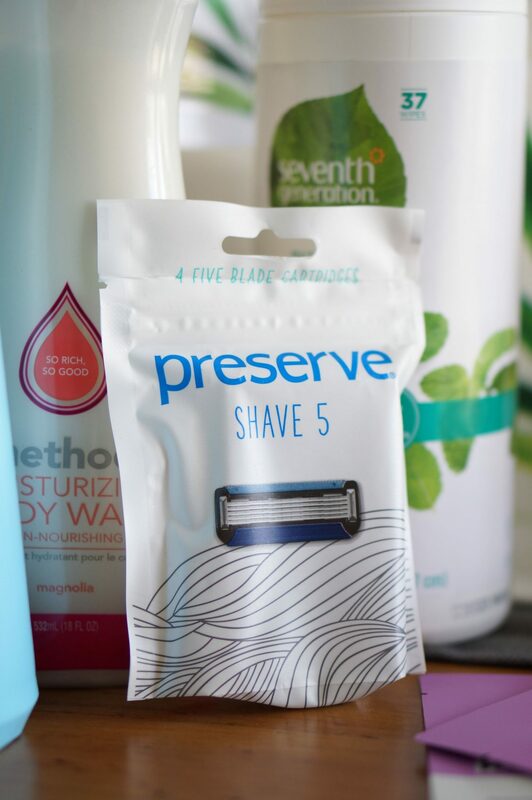 What did you order from Grove Collaborative this month?